Mercedes-Benz VIN Decoder | Vehicle History, Specs, Recall Info and more! The free Mercedes-Benz VIN decoder can help you get any Mercedes-Benz car’s vehicle history report, using the sources from both government and non-government entities. Try the free Mercedez-Benz VIN Decoder below to show vehicle details. As reported by Edmunds.com, there are 471,565 Mercedes-Benz cars that are currently facing recalls. More than half of those mentioned are the 2008 – 2011 Mercedes-Benz C-Class cars, which have dimming taillights as a result of an inadequate electrical conduction. In addition to the free VIN decoder above, remember to check for any recall update about your own car and other cars that interest you. Fix any recall problem for free at any authorized Mercedes-Benz dealer. How to Decode a Mercedes-Benz VIN? 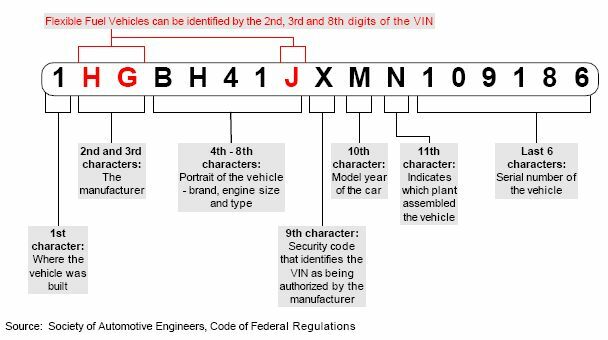 Each character or set of characters within a Mercedes-Benz VIN indicates specific vehicle information including the vehicle’s model and model year, make, where it was manufactured, and more. Here is a sample Mercedes-Benz VIN, WDDGF5GB5BF656248, which we have decoded using the diagram above and the decoding charts available. VinCheck.info’s free Mercedes-Benz VIN decoder instantly provides more than these vehicle specifications plus a free vehicle history report. We also provide information on the market value, equipment details, fuel efficiency, safety rating, current warranty, recalls and defects of a Mercedes-Benz vehicle. Use either online platform below to get the service you desire. Visit the Mercedes-Benz Parts page to order important car parts, or you may visit the Mercedes-Benz Accessories page to personalize your car with your own custom designs. Why should I use a Mercedes-Benz VIN Decoder? Check out VinCheck.info resources on Mercedes-Benz which could be important to you as an owner or a buyer. For more interesting facts about Mercedes-Benz, Mercedes-Benz vehicles or to get a free Mercedes-Benz vehicle history report, visit our Mercedes-Benz VIN Check page. Enter your VIN below and run a Free Mercedes-Benz VIN decoder in seconds!